I read this article and found it very interesting, thought it might be something for you. The article is called How to end someones employment fairly and legallly and is located at https://www.rocketlawyer.co.uk/blog/ending-someones-employment-is-tough-but-every-manager-has-to-do-at-some-point-so-make-sure-you-do-it-fairly-and-legally/. As an employer, there are sometimes very difficult decisions to be made. When it comes to ending the employment of one of your members of staff, you need to make sure that you follow the correct procedure in order to protect your business interests. I will explain how you can avoid making mistakes and ending up on the wrong end of an employment tribunal. When it becomes necessary to dismiss an employee, one of the first things you should do is to review their employment contract. With some limited exceptions (about which you should take legal advice) – it’s vital that you adhere to each and every term in this agreement in order to avoid the potential situation of breach of contract. Unless you’re dealing with a situation of gross misconduct, you’ll need to stick to the notice period which should be set out in the contract of employment. 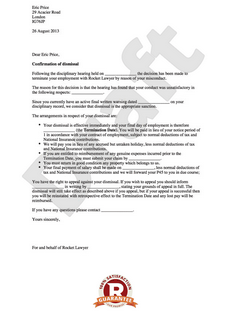 Some contracts may allow for Payment In Lieu Of Notice (PILONs), which essentially means that you can end employment with immediate effect by paying a sum to the employee which they would have otherwise earned by working out their notice period. Other employers choose to adopt contracts which may include a Garden Leave provision which requires employees to officially remain in their positions throughout their notice period but to stay away from the workplace. It is possible to make a PILON or put an employee on garden leave even if the contract doesn’t say you can, but if you do this, you need to be careful and ask a lawyer before taking this course of action. As well as having a fair reason, it’s necessary to also follow a fair procedure. For example, if you’re dealing with misconduct, invite the employee to the required hearings and use a properly worded dismissal for misconduct letter. 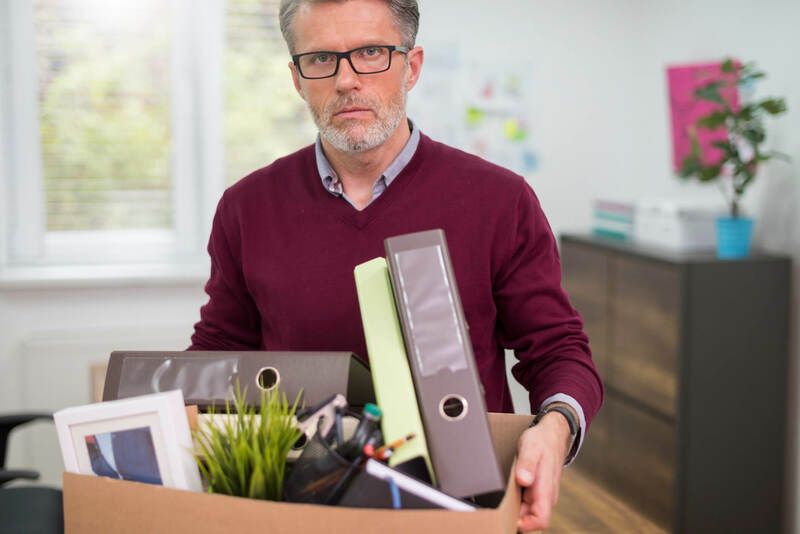 If you’re ending the employment of a member of staff who is not protected by the rules on unfair dismissal, the situation may be less risky but you still need to adhere to their notice period and any other contractual terms. 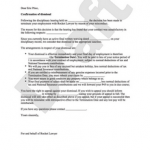 Use a formal notification of dismissal letter to make sure you get things right. Sometimes it may be necessary to dismiss an employee without delay as a result of gross misconduct (eg. theft, dishonesty, intoxication at work). Although there’s no need to stick to a notice period in this situation, you must still hold a disciplinary meeting where you explain the reason for the summary dismissal and follow this up with an appropriate letter which sets things out in writing. There will occasionally be contentious unresolved issues in the wake of an employee departure. These may be related to alleged incidents in the workplace unrelated to the dismissal or redundancy, or they might be connected to the termination of employment. Whether or not the employee has initiated legal action, a settlement agreement can be used to resolve statutory claims and avoid having to go to court. This type of agreement is a legally binding contract which waives an employee’s right to bring a claim, generally in exchange for a one-off payment from the employer. For more information on settlement agreements generally, see our Quick Guide. How do I dismiss my employee legally?